Refinish Your Hardwood Floors in Oakland Township Today! Fabulous Floors Michigan to do a great job and be the Oakland Township company you can rely on. It’s important to use a brand you can trust, and it’s not hard to trust us as we’ve been in the industry for over 30 years. We have the experience and the taste to bring you a service that you can rely on and that improves upon the beauty of your home. We train our technicians in both customer services as well as our premium hardwood refinishing techniques to ensure an all-around great job. Call Fabulous Floors Michigan to set up your visit in Oakland Twp and we’ll leave you impressed and overjoyed at your home’s new look. You won’t regret it. Our process is tried and true as we’ve been perfecting it for as many years as we’ve been in business. Our first step is to sand down the floors in your Oakland Twp, Ml home to rid them of the small scratches and surface dings that come about as a result of everyday use. Next, we stain the floors with your choice of over 25 different stain colors. With our selection, you’re sure to find a color that matches your home decor and taste. Our last step is to cover the floors with polyurethane to add further protection but also to give your floors in Oakland Township that extra special gleam. 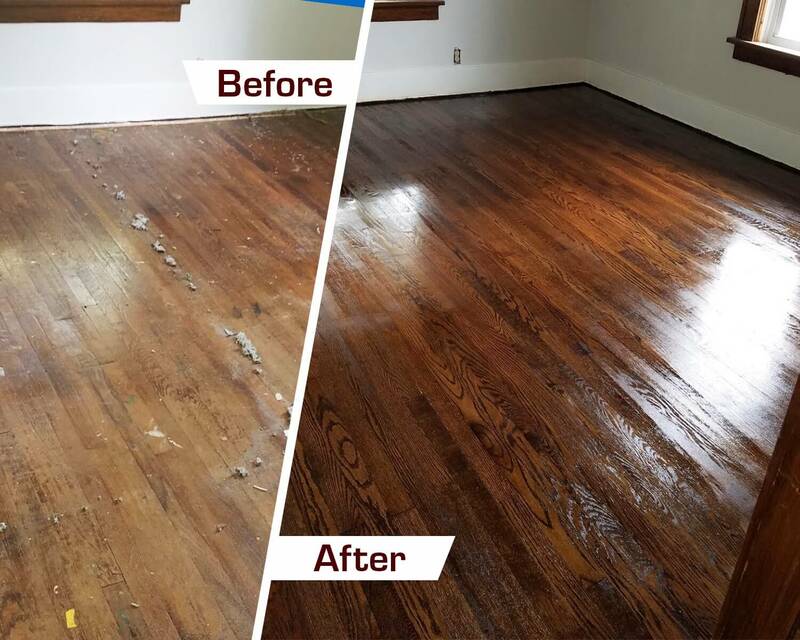 Get in touch with a representative from Fabulous Floors Michigan to see what a difference our hardwood refinishing service can make on your home in Oakland Township. Bring back the beauty of your hardwood floors today!